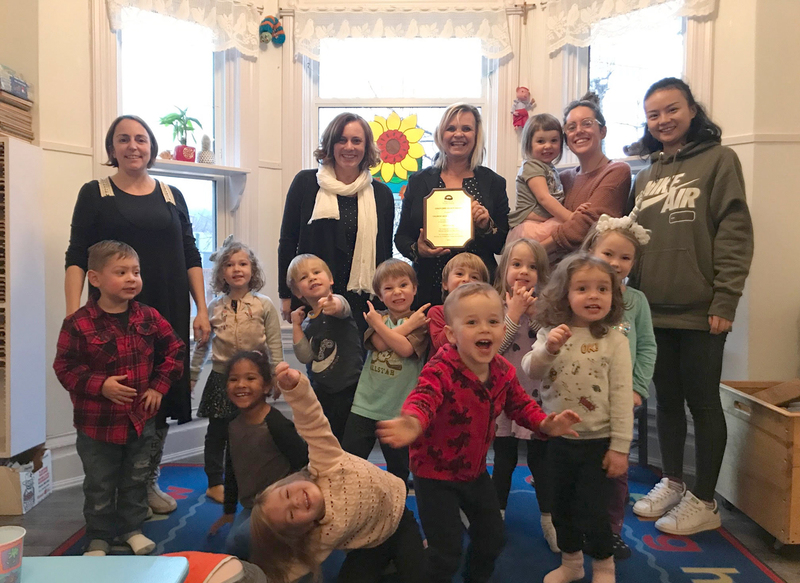 Children’s World Learning Center in Nelson and the Nursery School in New Denver recently received provincial recognition for outstanding contributions in providing child care programs. Both child care facilities received Child Care Legacy Awards from the BC Government. Minister of Energy, Mines and Petroleum Michelle Mungall recently presented Children’s World Learning Center with honour at the Josephine Street facility. The award is part of the 2018 Child Care Awards of Excellence program.